Find expert advice on our Immigration FAQs. Experts in the immigration field answered to our most common queries to help you in your moving process. 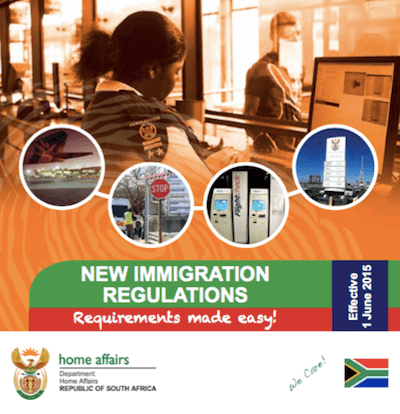 Immigration to South Africa is easier when you know which documents to file, where and when to apply. Read below answers to your queries. Immigration FAQs: Visa or Permit? Applications for short-term residence are referred to as visa, while long-term residency applications are referring to permits. Unfortunately the terminology still is mixed up in many documents or even visa stickers in the passports, even embassies, consulates and departmental officers often still use the old terms. 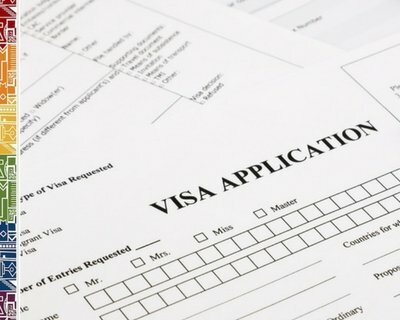 Be aware for which category you apply, as the visa facilitation centres will collect all your documents (and the fee) nevertheless and you will not be reimbursed if you applied in the wrong category and your visa/permit is refused due to missing documents or applying for the wrong section of permit. 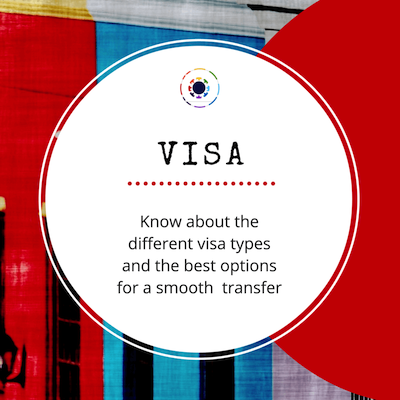 Immigration FAQs - Which Types of Visa are available? Besides the categories of short-stay visa, there are visitor visa for the purposes of holiday travel, business travel, medical tourism, visiting family and friends, attending meetings and conferences, emergency support work related travel or for study, research and voluntary work. Among the long-stay categories there are the various types of work visa such as general work visa, intracompany transfer visa or critical skills visa amongst others. Permanent residency permits are also available for those who live in South Africa for longer than five years on a valid visa or who qualify for permanent residency on other grounds. Long-stay visa need to be filed at the South African mission in the country of residence or citizenship of the applicant. Under certain circumstances applications and renewals can be effected from within South Africa through the VFS visa facilitation offices. Most short-stay visa are available at the port-of-entry for nationals from visa-exempt countries. All others need to apply in the home country or country of current residency. Is it possible to find a job in South Africa and apply for a work visa if I do not fall in any category stated on the critical skills list? It is almost impossible to find an employer who will go through the hassle of the application process for a work visa. Take note also, that this category is hardly ever supported by the Department of Home Affairs and commonly refused, even if you supply all necessary documentation. For how long are general work visa granted? The maximum period is 5 years, however a general work visa can be renewed. I have been granted a work visa for South Africa, can my spouse also work when accompanying me to SA? Unfortunately, in South Africa spouses and life partners are not automatically granted authorisation to work with their temporary visa. Spouses and life partners have to apply for their own visa and children of work permit holders also will need a study visa if they are of school-going age. Who can apply for a Critical Skills Visa (CSV)? All who are in possession of critical skills and expertise, skills which are critical for the advancement of South Africa's economy, can apply. Foreigners need to apply at the South African foreign mission in their country of residence or home country. Several preparatory steps are to be taken and a wide range of documents must be supplied. Which jobs and professions are considered critical skills? Please find the jobs which are deemed critical for the advancement of the South African economy here. The listing starts at page 12 of the regulations! How long are the CS visas granted for usually? Critical skills visas are granted for a maximum of 5 years. Renewals are possible. Applicants who can proof that their applied for registration at a recognised professional business body, usually get granted a one year critical skills visa. During the first 12 months the applicant needs to report back to DHA that he/she is in possession of a valid work contract and then will go on to apply for the extension of the critical skills visa via a VFS renewal application. This process costs again R1350 (VFS fee) and R1520 (DHA visa fee). If only compliance with the conditions on the visa is needed, email to DHA is sufficient according to DHA website here. If the visa has been granted already for a five year period, do I need to report back to DHA within 12 months, in regards to the job taken up? Yes, this report is to be done directly to the Department of Home Affairs to validate the visa. See the info here. Which documents must be supplied for the application of a critical skills visa? You will find the documents listed on the VFS website or contact the foreign mission in your country of residence. If I want to study further part-time, do I need an endorsement to the CSV? No, if study is only part-time and this complements your work, then no additional endorsement is needed. How long does the application take? This depends on the country or even foreign mission where the CSV is applied for. Usually applications take at least 6 weeks from handing in at the foreign mission to receive an outcome. Which timeframe has to be considered to be ready to complete the application process? The whole process will take usually 8 weeks, often much longer. This is due to the requirement of submitting police certificates, medical reports, evaluation of skills by SAQA and registration with a South African professional body. Find more info here. Where to start when first applying for a CSV? Check if your expertise/skills/profession is listed among the critical skills as announced by the DHA here. Then apply for evaluation of your qualifications from SAQA, then register for membership at a professional body/association. Read more here. How long are visitor visas for spouses and life partners of South African citizens granted for? Spousal visas are temporary residency visas which are granted for periods of 2 years. How long do I have to be married to be able to apply for this kind of visa? There is no minimum time span required, you only need to supply your marriage certificate and be prepared for the spousal interview which is to be taken at DHA. Applications for spouses to stay with their South African spouses are straightforward. Can foreign spouses travel to South Africa with a visitor visa and apply locally for a spousal visa? No, applications must be initiated in the home country/country of usual residence. There have been rumours that spouses can now apply from within South Africa, but this has still to be confirmed by DHA. Can spouses work on a visitor visa 11(6)? Yes, they are allowed to work, study or own a business with an endorsement to work, study or to conduct own business after submitting a separate visa form where then the authorisation to take up work will be granted. Do spouses need to supply information in regards to financial support as with the Relative's Visa? No spouses must only submit written undertaking by the South African spouse or PRR holder accepting full financial responsibility. An interview (of both spouses) at DHA is mandatory. How long are life partner visas granted for? A life partner visa is a temporary visa, which is granted for a period of 2 years, but can be renewed. Can life partners also apply for permanent residency? Yes, they enjoy the same recognition as married partners. Immigration FAQs - Internship Visas? Are there possibilities for gap-year work and internships in South Africa? There are certainly sectors where 'interns' and volunteers are very welcome in South Africa, but gap-year options for students without further qualifications are usually limited. Offers by gap-year, or 'work and travel', program providers have to be examined carefully before committing to a contract, as in South Africa foreign unskilled people are not allowed to work or to study further (even pupils and students need study visa for taking up schooling and studies!) It is not even allowed for unpaid/charitable work to be undertaken when on a simple tourist/visitor visa without a proper endorsement (for volunteer work up to 3 months) or the relevant volunteer visa (3 months to 3 years). Are there visa for internships/work practise? There are no provisions made for foreigners intending to work during an internship in South Africa. Internships by foreigners are not supported and visas are not granted. As the South African embassy in Germany states, 'no visa may be issued to such foreigners, including foreign students whose studies prescribe an internship.' However, there are some agreements with some countries in respect of various tourism and hospitality industries. Enquire with your foreign embassy should you intend to undertake an internship or voluntary work with a South African company or business. What about volunteering and working without payment? There are separate volunteer visa (visitor visa 11(1) available if volunteer and unpaid social work is envisaged in various sectors such as social projects and outreach, childcare and teaching. There are work exchange visas which can be applied for, but this kind of visa is unfortunately not offered to interns from Germany as was confirmed recently again. Volunteer visa or visitor visa? Charitable work can be undertaken with a special visitor visa endorsement. These visa are granted for a maximum of 90 days and can not be renewed/extended! However, there is also a 'volunteer visa' which allows longer periods of stay, but remember no local payment can be received at all. Can tourist visa/visitor visa still be extended since the new regulations in 2014 came in? Yes, visitor visas granted to residents of visa exempt countries which are granted 90-day visa upon arrival in the country, can be renewed once via timeous application at the VFS office (renewal and admin fees apply). It is usually best to apply for an extension as early as possible. Immigration regulations state that applications need to be handed in 60 days prior to expiry of the visa. The renewal should (!) not be taking longer than 60 days and the renewal period should be again for 90 days. However, as experiences and feedback from visitors show, a more arbitrary handling of the regulations is evident, as sometimes only 30 days renewal is granted and the renewal does not come in during the 60 days, creating huge insecurity. How to be certain to be granted permission to stay on in South Africa for a longer time without the need to apply for an extension/renewal locally at VFS? If one wants to extend the period of stay, the recommended way to extend the visa is to go back to the home country and return back from there. There is no requirement of a specific minimum stay in the home country/country of usual residence. What happens if my visitor visa expires while I wait for the extension/renewal of the visa? The best is to stay on in the country waiting for the outcome, should be the visa already expired. However, this is also risky should the extension not be granted for the full time as expected. It is possible to appeal for rectification should one go home while the visa is still in application and one is declared an 'undesired person' while leaving the country without a valid permit. The appeals process, however, is lenghty and not seldom takes 3 to 4 months. Appeals need to be lodged at DHA and can not be effected at overseas missions. What can 'swallows' do when they own property in South Africa and would like to come here to stay for 6 months per year? It was possible before the new regulations in 2014, to stay three months plus extension of three months. However, a straight forward extension of the visa is now rarely the case. The best way to stay here legally without worrying about extensions and eventuality of having to appeal decisions, would be to apply for a retired person's visa which includes proof of financial independence as stated requiring net worth of R37,000p.m. Can I appeal if I overstayed my visa period and got a ban? For more information in regards to overstays and appeals, please check our info on this page. What do families need to consider when traveling to South Africa with children? Make sure to bring along your child's unabridged birth certificate/or a certified copy of this document. This is a birth certificate where both parents names are listed! Is there a minimum age for applications for 'retirement visa'? No, there is no minimum age for this kind of visa. Interestingly there is not even a retirement age mentioned in labour law. Anybody can apply for a Retired Person's Visa, as long as the financial requirements are met. Please take note, on this visa, you are not allowed to take up work with any South African employer. Who can apply and when to apply for a permanent residency permit (PRP)? Everybody residing in the country on a valid work permit qualifies after a stay of 5 years or longer for permanent residency. The application process, however, is a lengthy one and will take approximately 18 - 24 months. For foreign employees, also spouses and children can apply at the same time for the permit. When transferring from a work visa to a permanent residency permit, what do I need to submit? One only needs to submit the usual documentation including a certified copy of the current and unlimited employment contract also called an offer of permanent employment. Does a PR permit ever expire? Yes, when the permit holder resides outside the country for a prolonged time of three years. Therefore we would recommend to return to South Africa for at least 4 to 6 weeks to keep your permit valid. Please check with an immigration consultant should you need to get more specific advise for your individual case. 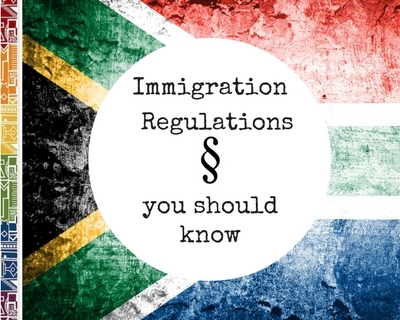 ExpatCapeTown Disclaimer 'Immigration FAQs': This summary is for information purposes only and not for the purpose of providing legal advice. You should contact the South African mission abroad or the Department of Home Affairs for advice on the requirements. Also contact an immigration lawyer to obtain advice with respect to any particular issue or problem regarding your immigration permit or visa.